I always seem to get in a rut with things whether it's clothes or make-up. If I get something new then I'll use it/wear it constantly until I buy something else. I especially seem to do this with lip products so to try and get more wear out of what I have, I've started seven days, seven lipsticks. I've picked out a lipstick for each day next week so thought I'd show you them. 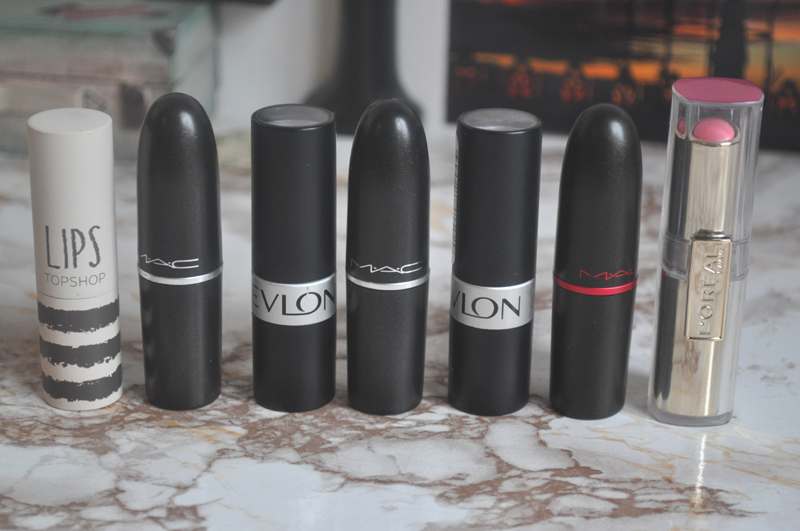 My favourite out of these seven is probably Creme Cup by Mac. It's such an easy pink to wear and it really suits my skin tone. I find Smoked Peach by Revlon quite hard to wear so it's been a bit neglected, hopefully with this it'll get some more use. Also Cyndi hasn't been used for a long time as it was limited edition and such a lovely shade I don't want to finish it. I really wish I'd bought a back up of it as well as Gaga! Totally know what you mean about getting stuck in a rut with make up. This is such a good idea. 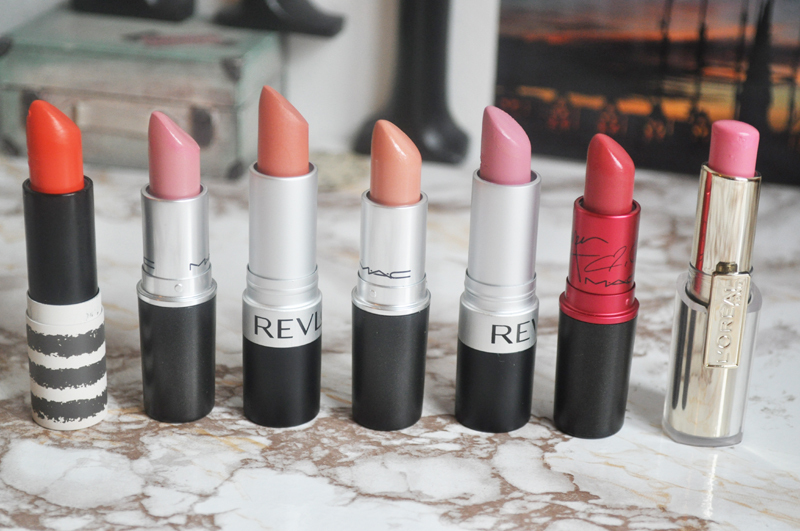 Might even treat myself to a few new lipsticks to try the challenge myself..
ohh all the colors are so beautiful! This is such a good idea. I bet you're about to start a trend. I know I'm getting on board. I loooooooooove Creme Cup, it just goes so well with everything! 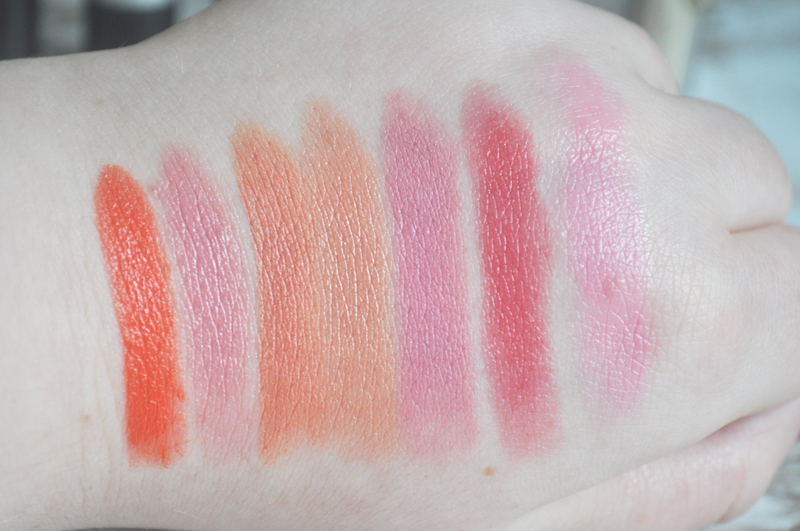 I think I'm going to need Pink Pout as well, which is supposed to be a (cruelty-free) dupe for MAC Angel!